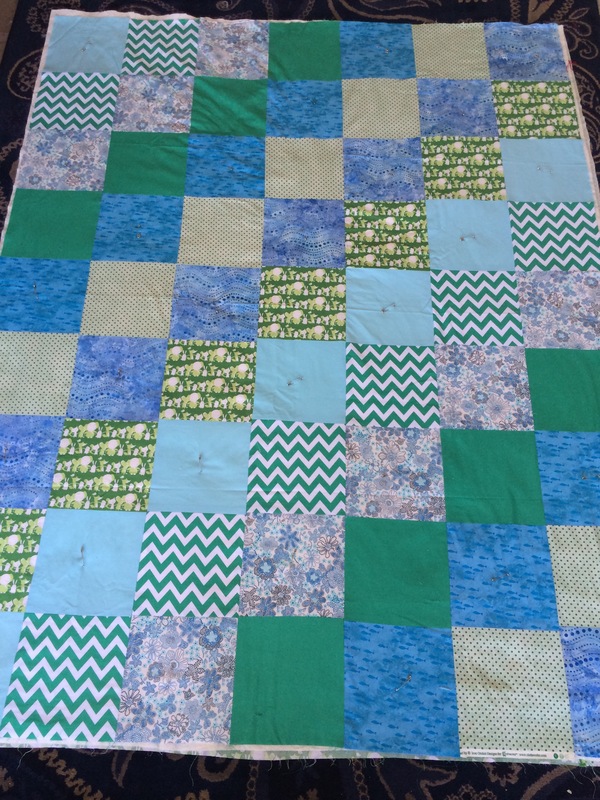 I like those green, chevron squares. They really stand out. This blanket it’s like slices of a trees bordered by yarn. I like it.